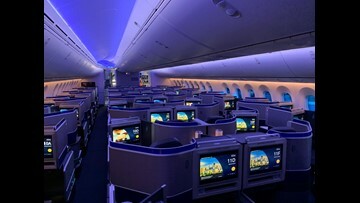 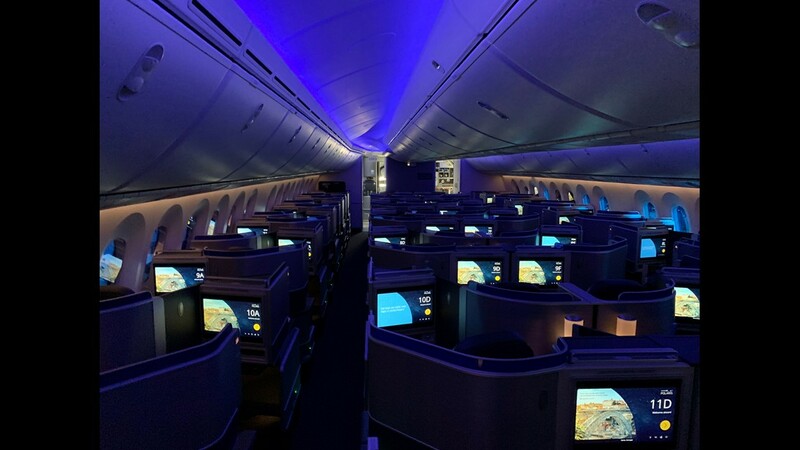 The Polaris business-class cabin is seen during a night-time color setting on United's new Boeing 787-10 Dreamliner as seen at Washington Dulles on Nov. 16, 2018. 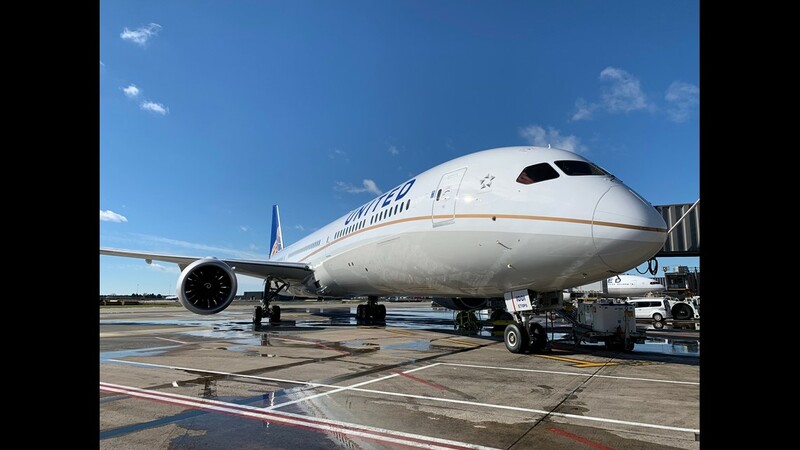 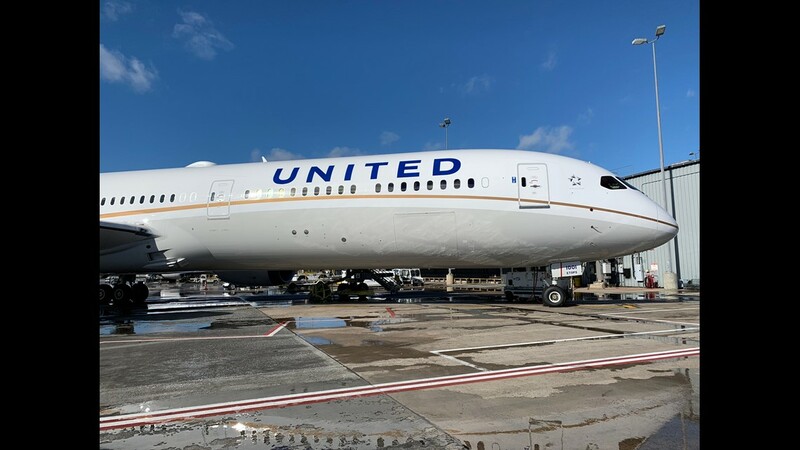 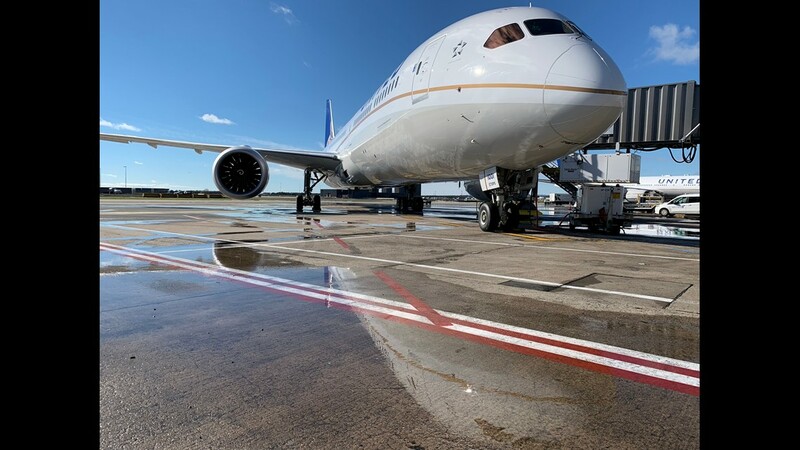 United Airlines’ first Boeing 787-10 Dreamliner is seen at Washington Dulles on Nov. 16, 2018. The Polaris business-class cabin is seen on United's first Boeing 787-10 Dreamliner at Washington Dulles on Nov. 16, 2018. 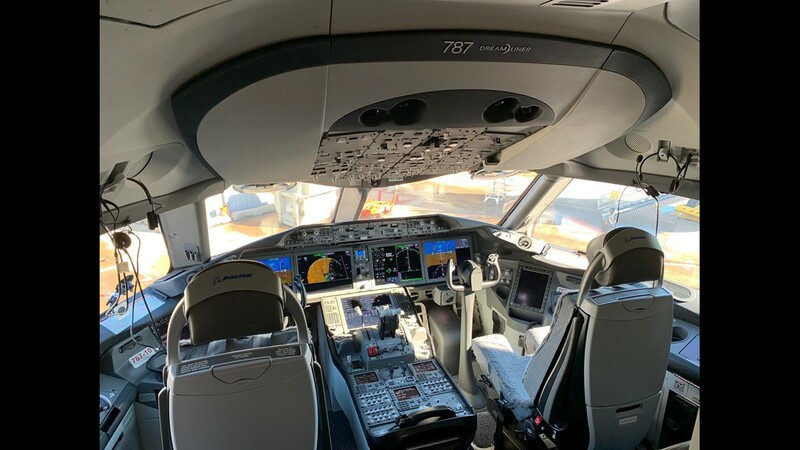 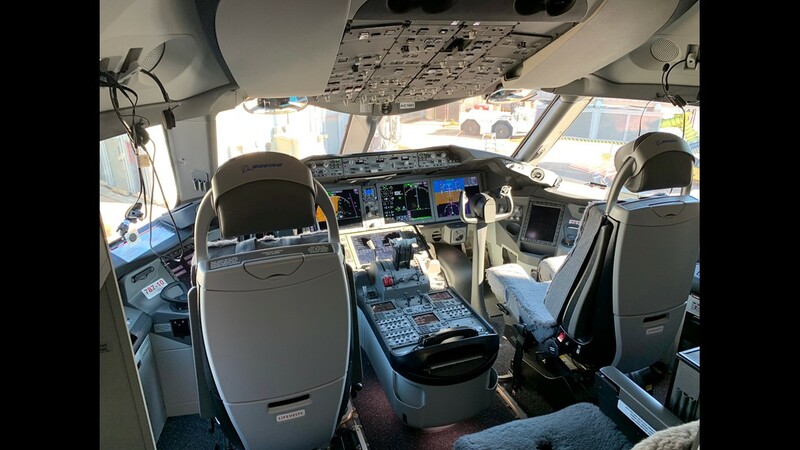 A view of the cockpit on United's first Boeing 787-10 Dreamliner as seen at Washington Dulles on Nov. 16, 2018. 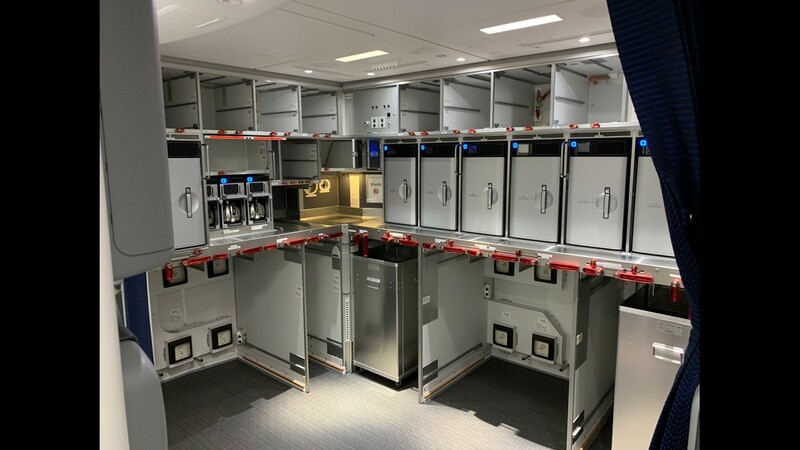 Rarely seen by flyers, this pilot rest area is located rear of the cockpit on United's new Boeing 787-10 Dreamliner. 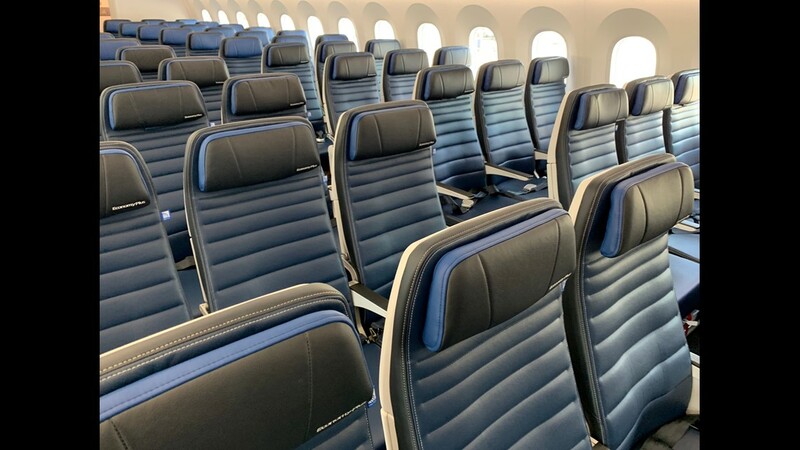 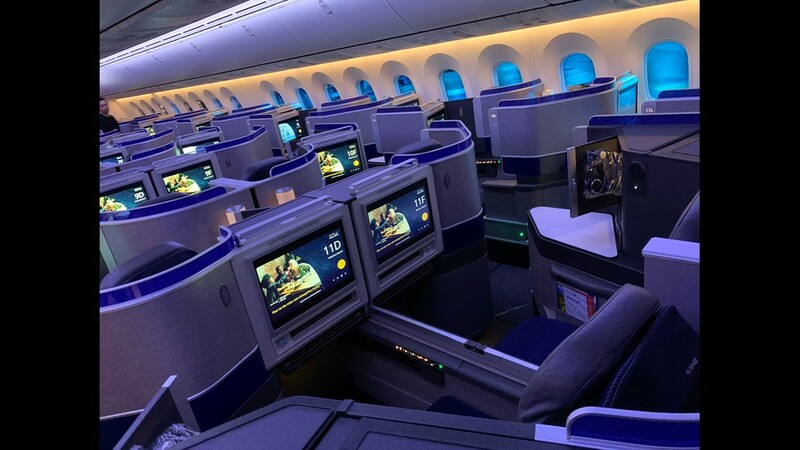 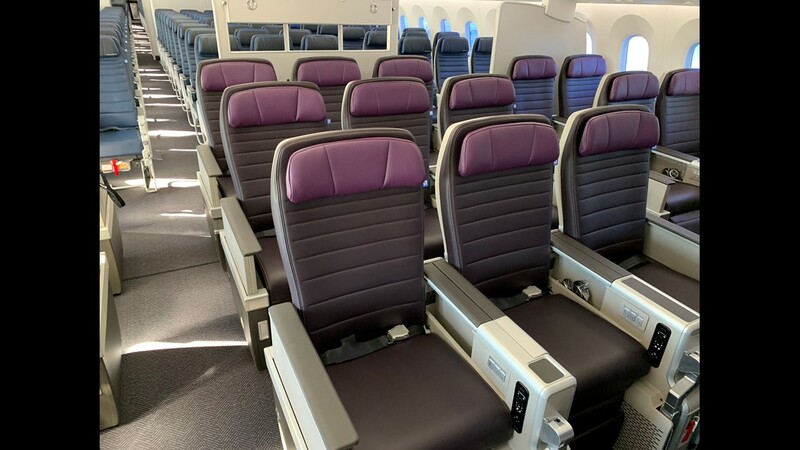 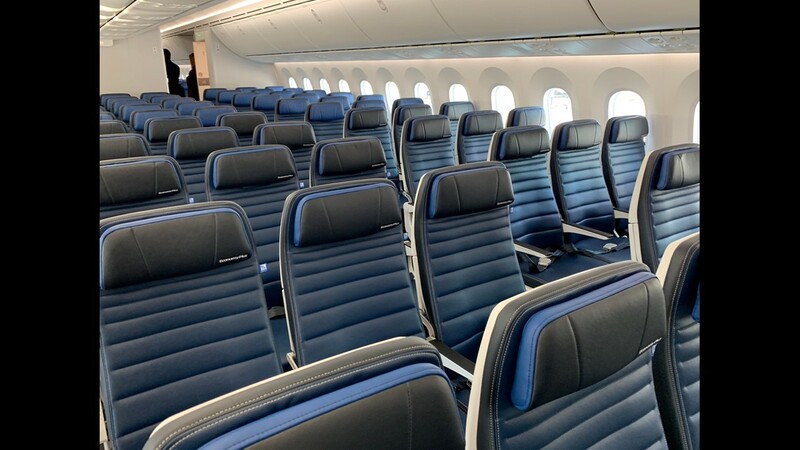 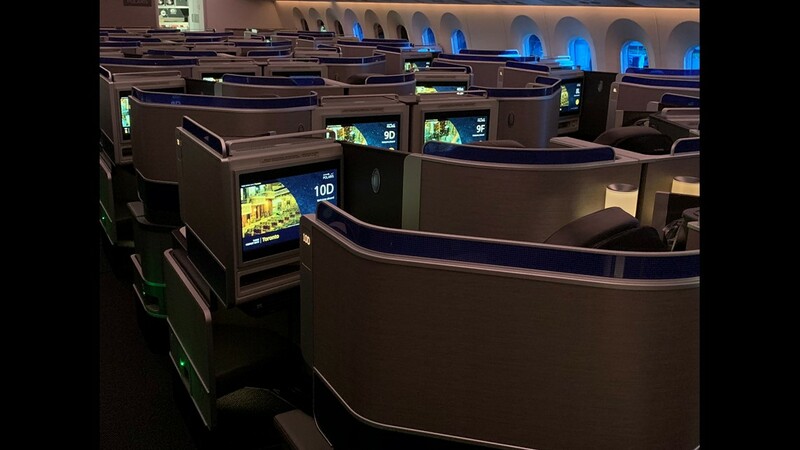 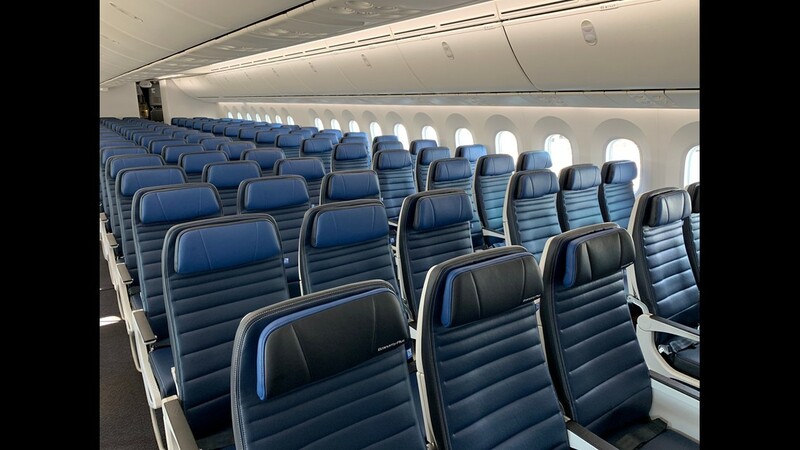 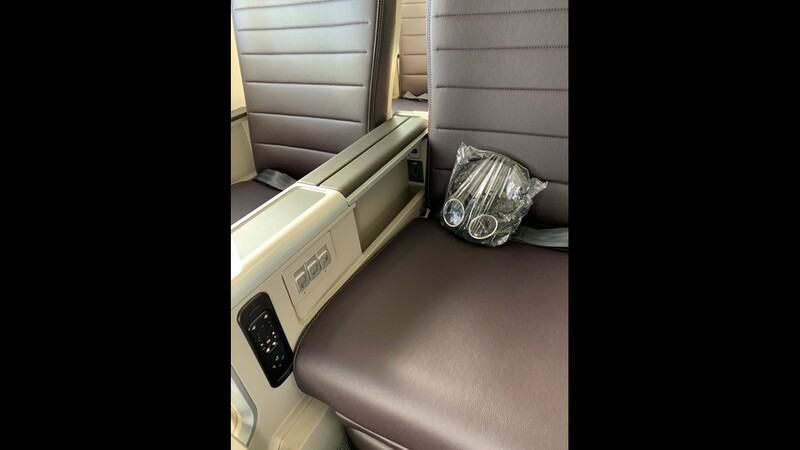 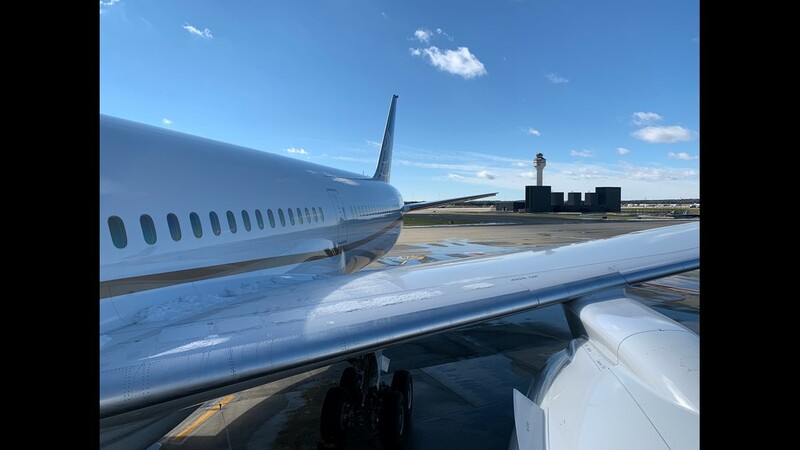 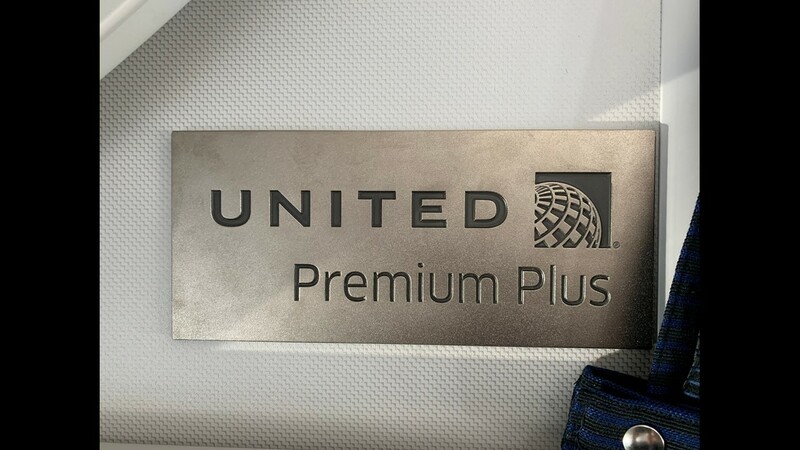 United's new international-style “Premium Plus” premium economy seats are seen on its first Boeing 787-10 Dreamliner at Washington Dulles on Nov. 16, 2018. 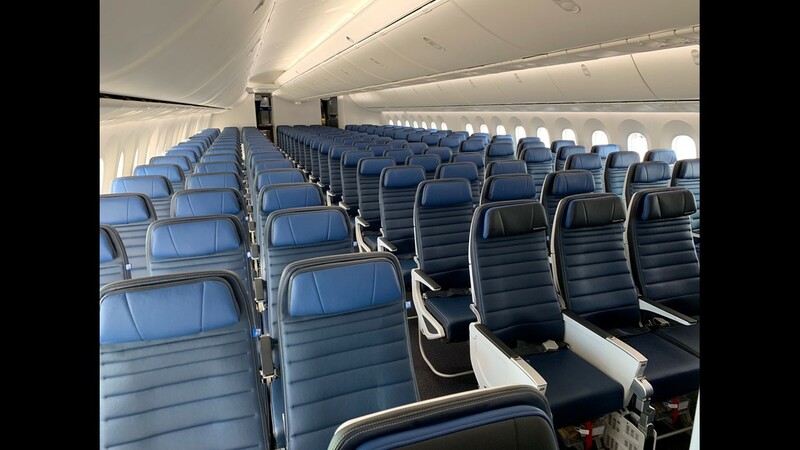 United's extra-legroom 'Economy Plus' seats are seen on its first Boeing 787-10 Dreamliner at Washington Dulles on Nov. 16, 2018. 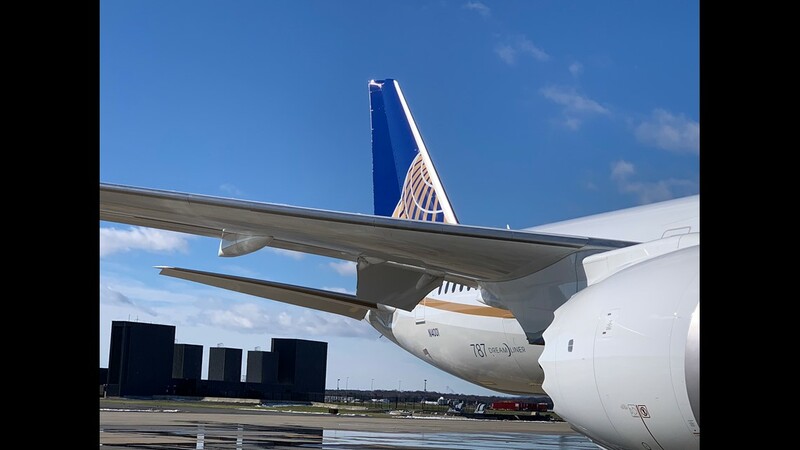 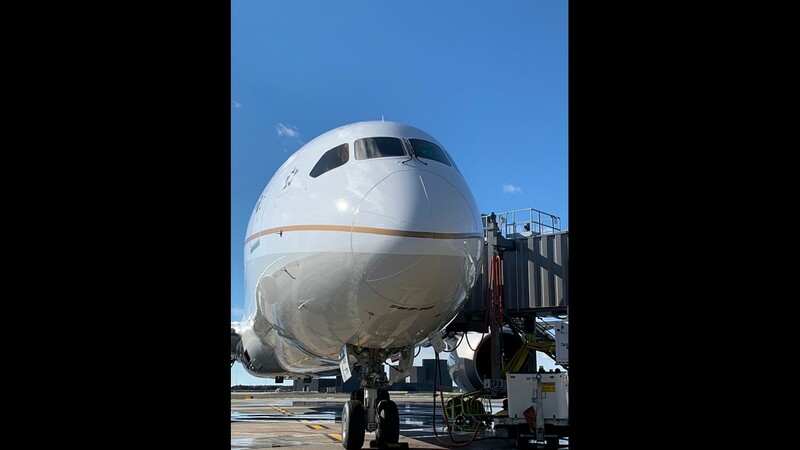 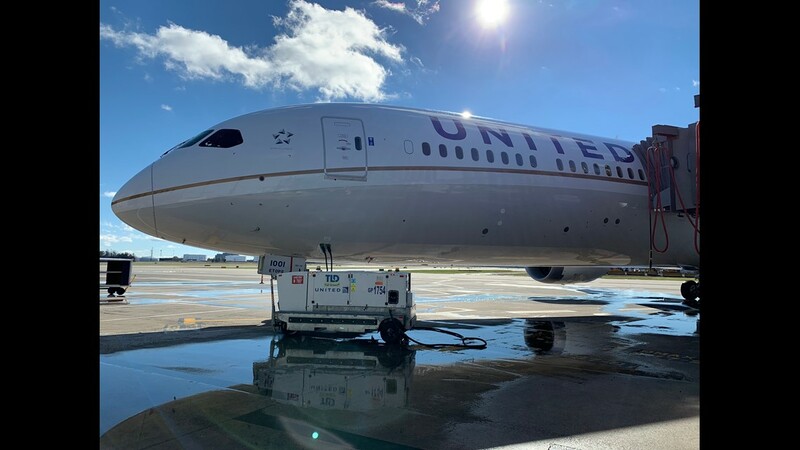 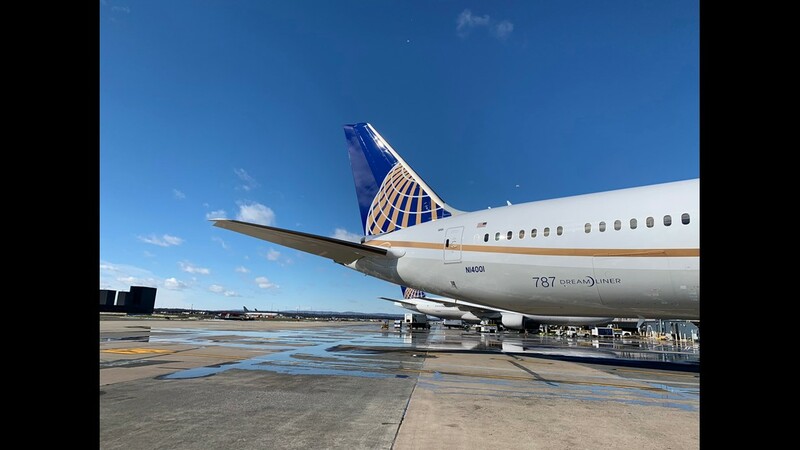 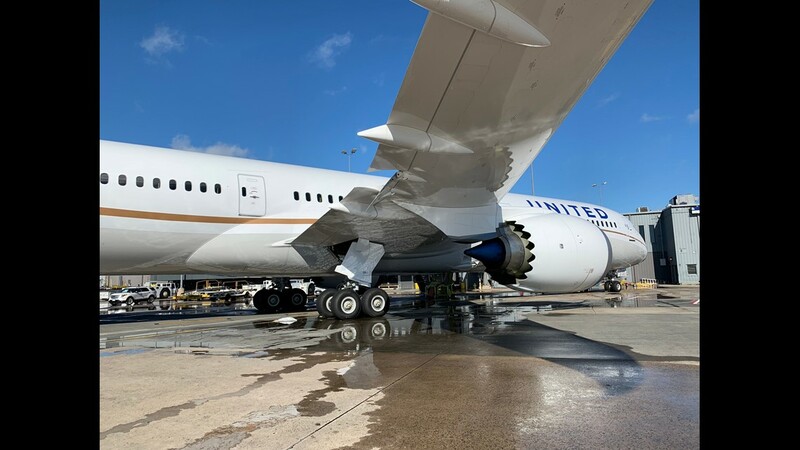 United Airlines branding is seen onboard the carrier's first Boeing 787-10 Dreamliner at Washington Dulles on Nov. 16, 2018. 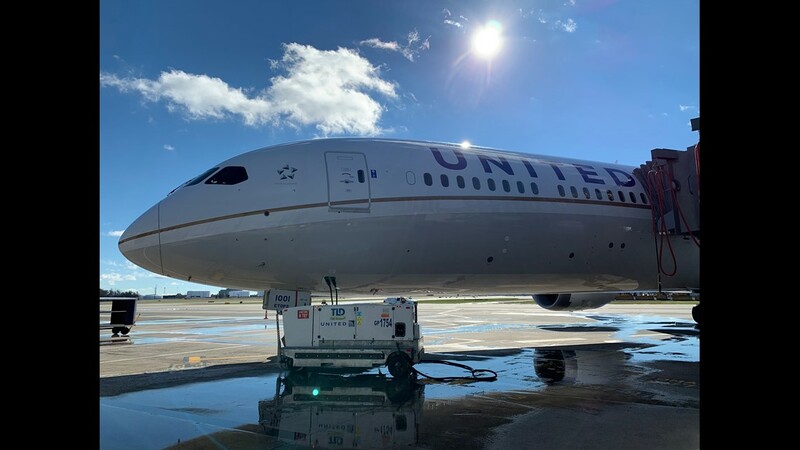 The economy cabin is seen on United's first Boeing 787-10 Dreamliner at Washington Dulles on Nov. 16, 2018. 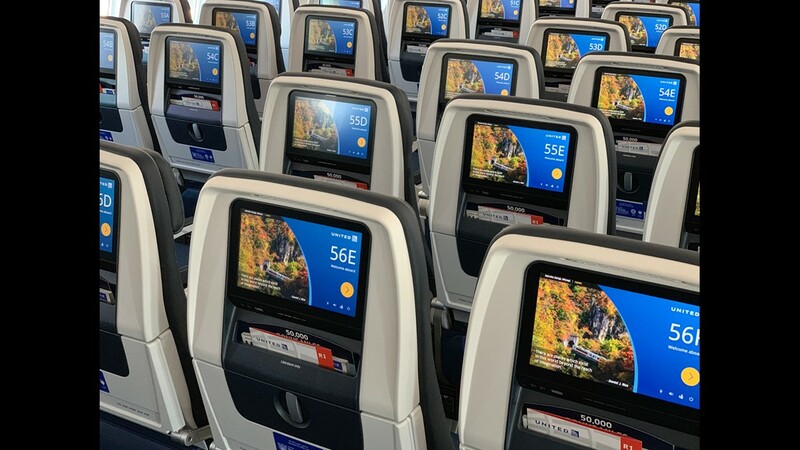 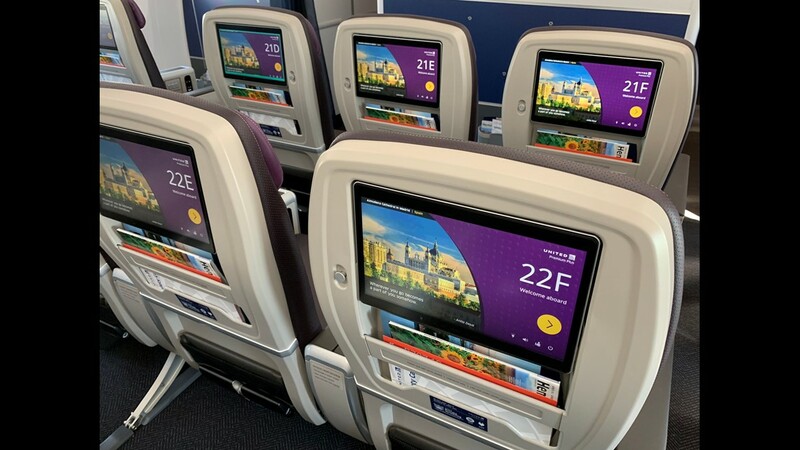 Flyers in United's economy cabin have access to 10-inch seatback entertainment screens on the carrier's new 787-10 Dreamliners. 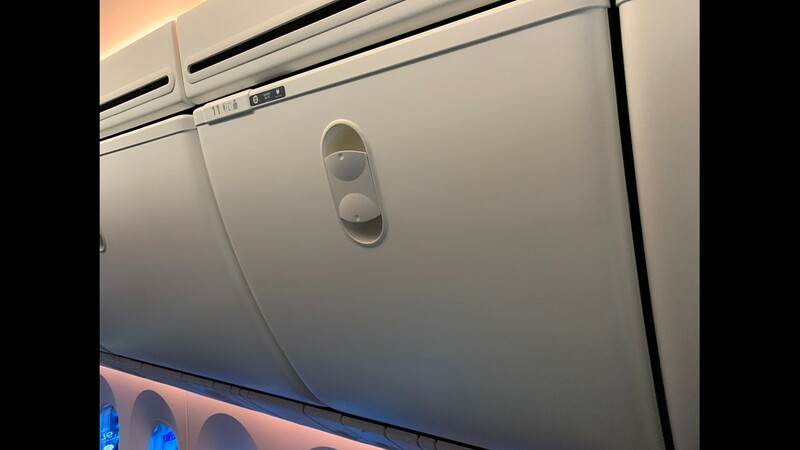 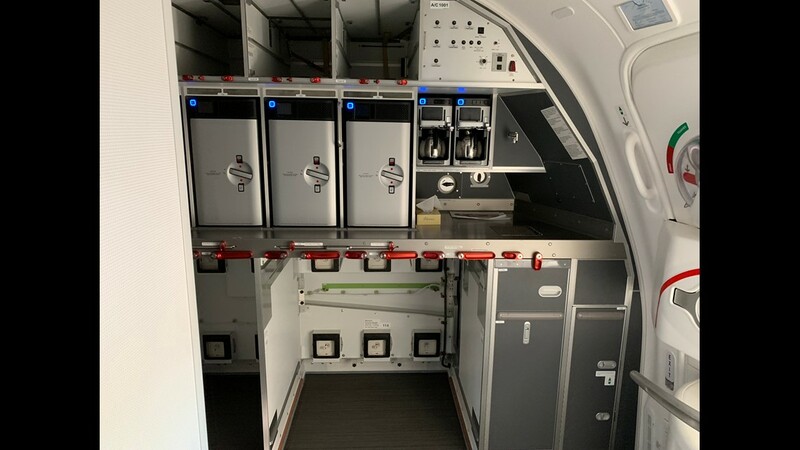 A view of an overhead bin in the economy cabin of United's first Boeing 787-10 Dreamliner as seen at Washington Dulles on Nov. 16, 2018. 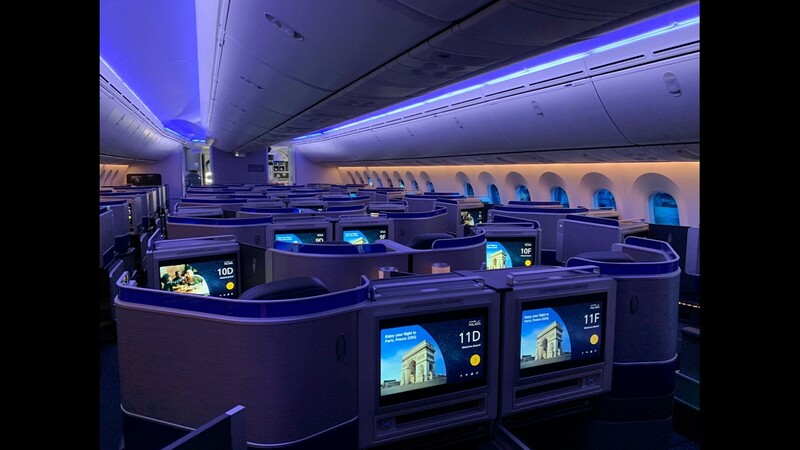 The front galley is seen on United's first Boeing 787-10 Dreamliner during a stop at Washington Dulles on Nov. 16, 2018. 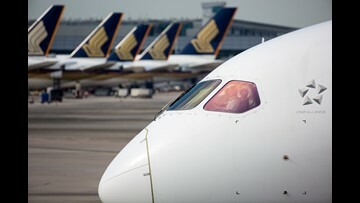 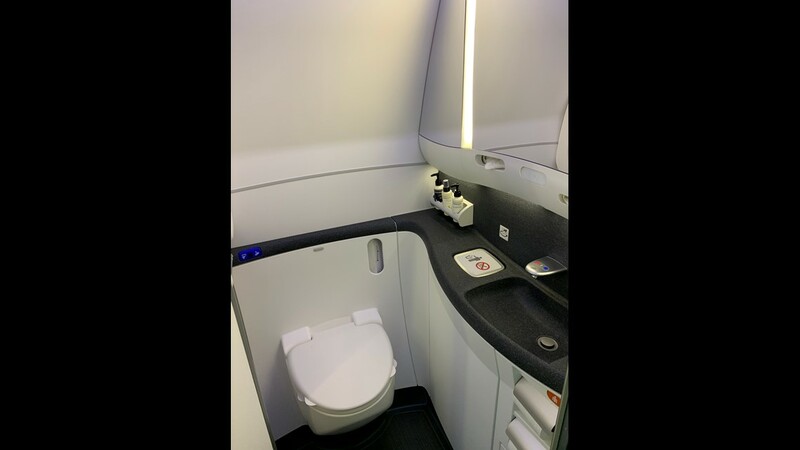 A business-class lavatory is seen on United's first Boeing 787-10 Dreamliner during a stop at Washington Dulles on Nov. 16, 2018. 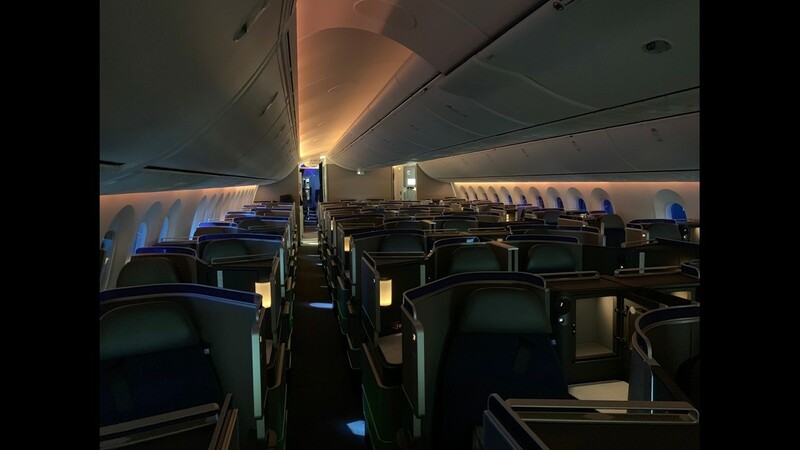 The Polaris business-class cabin is seen during a twilight color setting on United's new Boeing 787-10 Dreamliner as seen at Washington Dulles on Nov. 16, 2018. 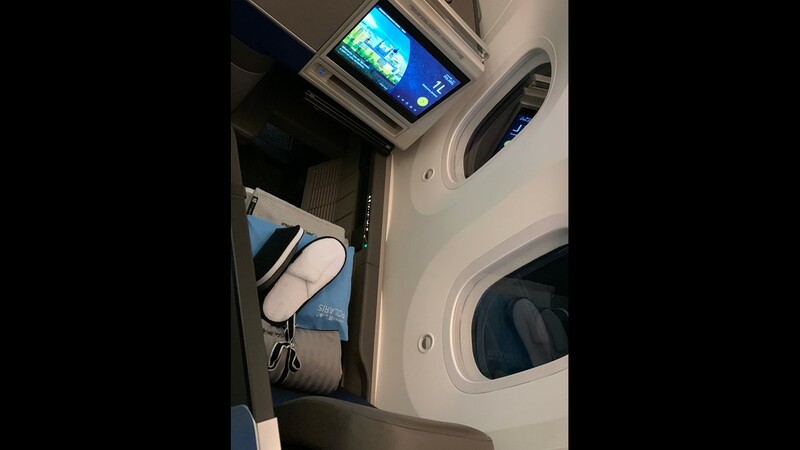 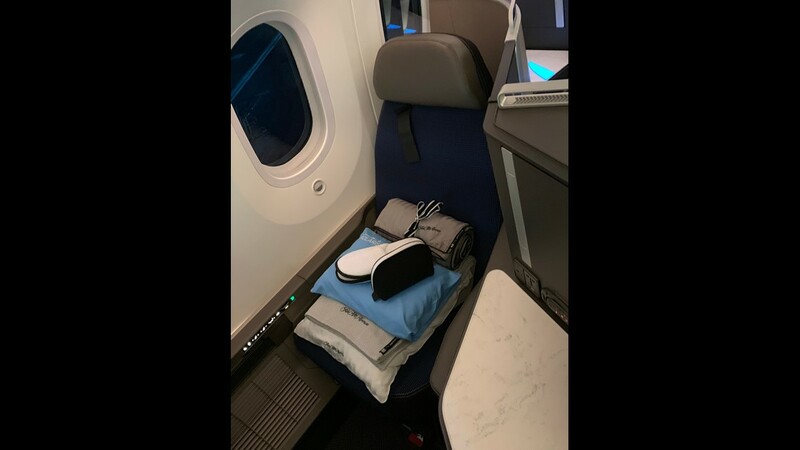 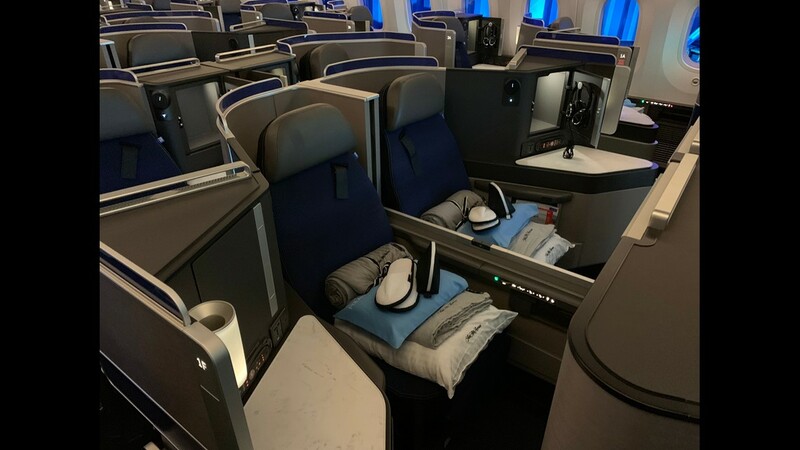 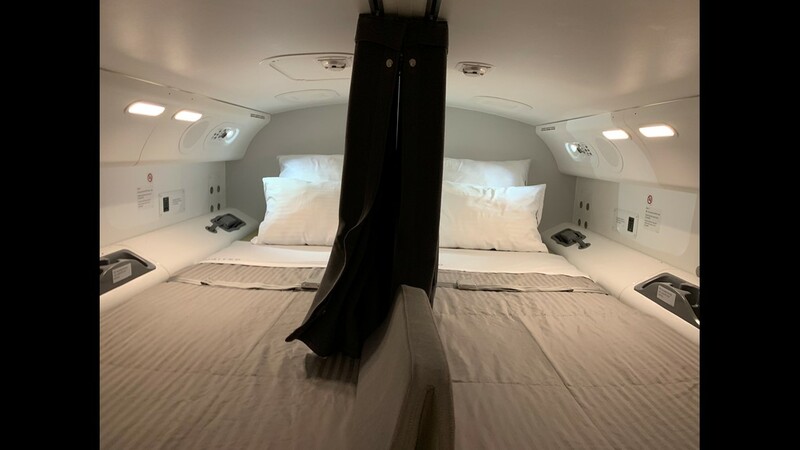 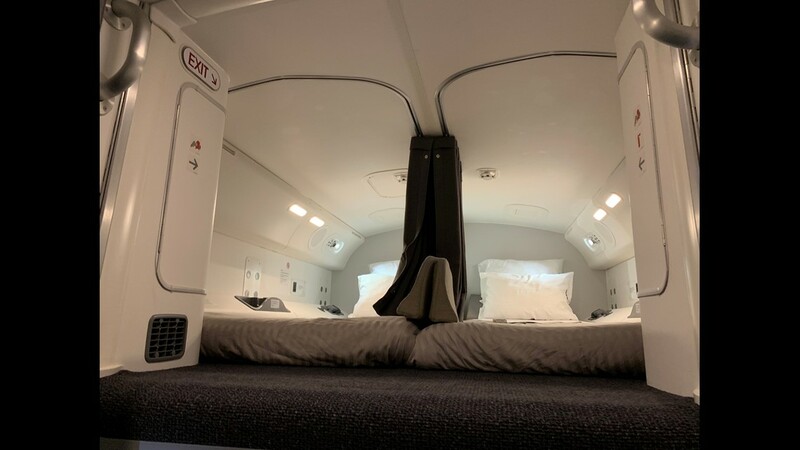 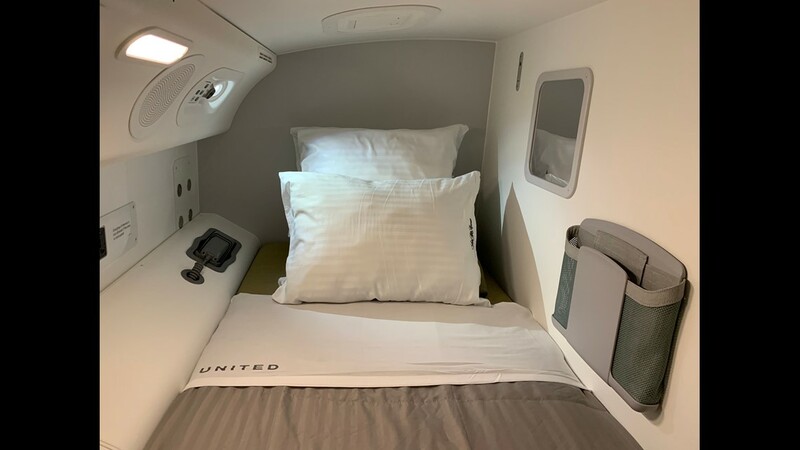 A Polaris business-class seat, complete with bedding and amenity options, is seen onboard United's first Boeing 787-10 Dreamliner at Washington Dulles on Nov. 16, 2018. 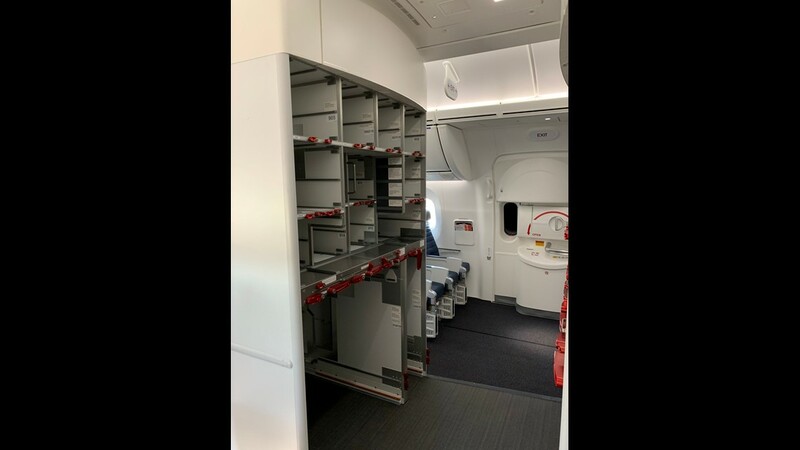 An overhead storage bin on United's new Boeing 787-10 Dreamliner as seen as Washington Dulles on Nov. 16, 2018. 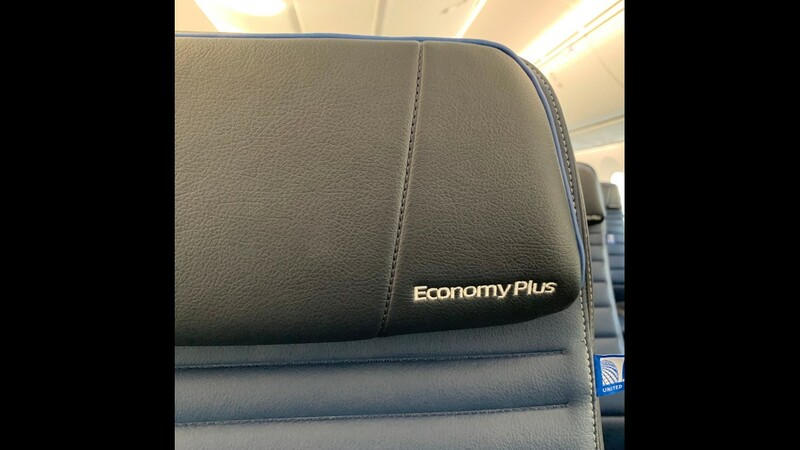 United's new international-style “Premium Plus” premium economy seats include fold-down foot rests. 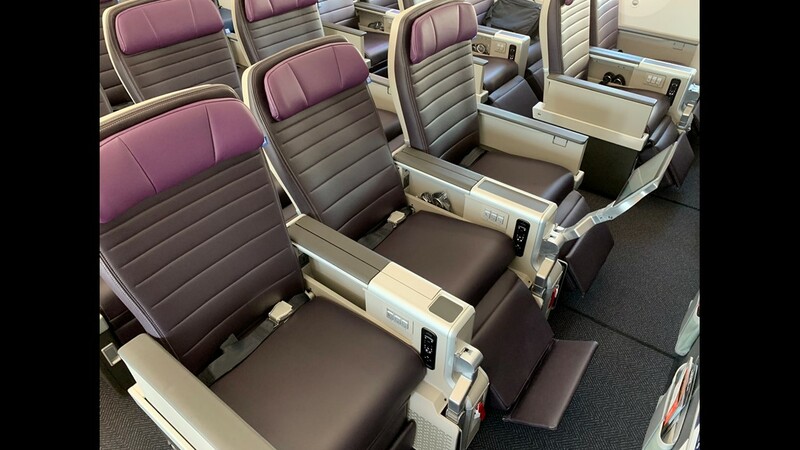 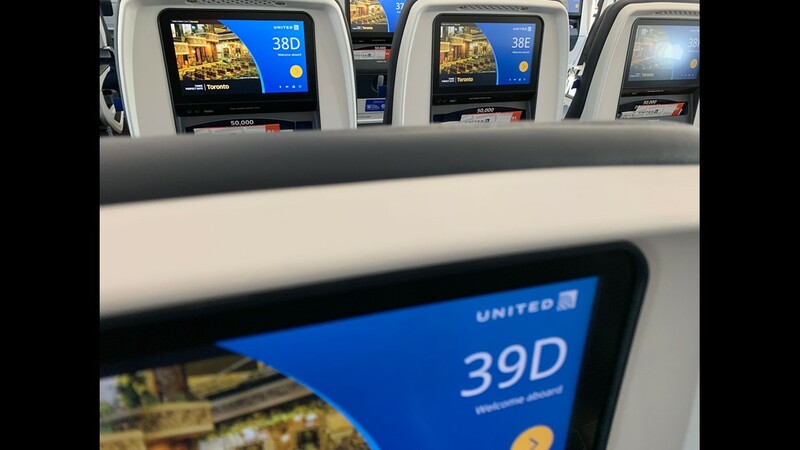 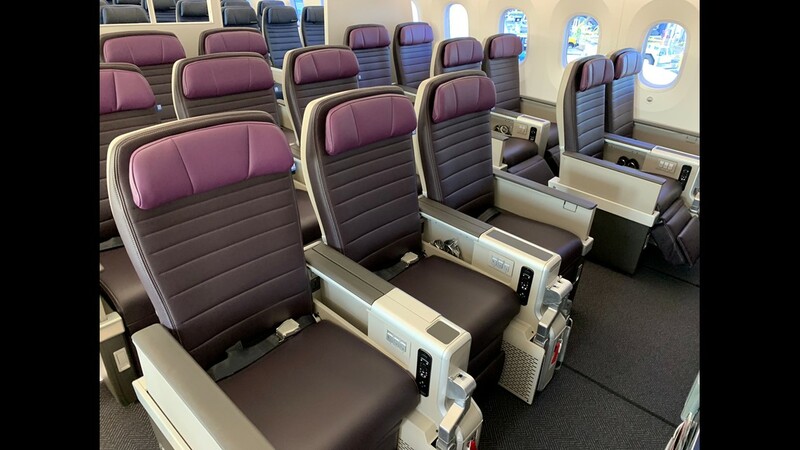 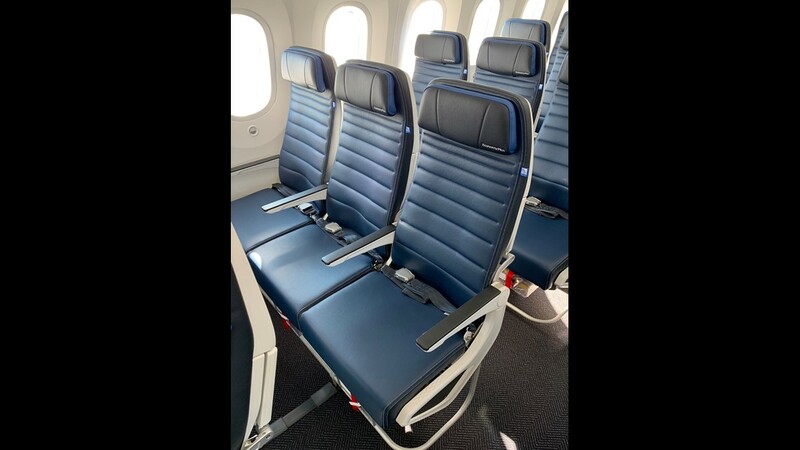 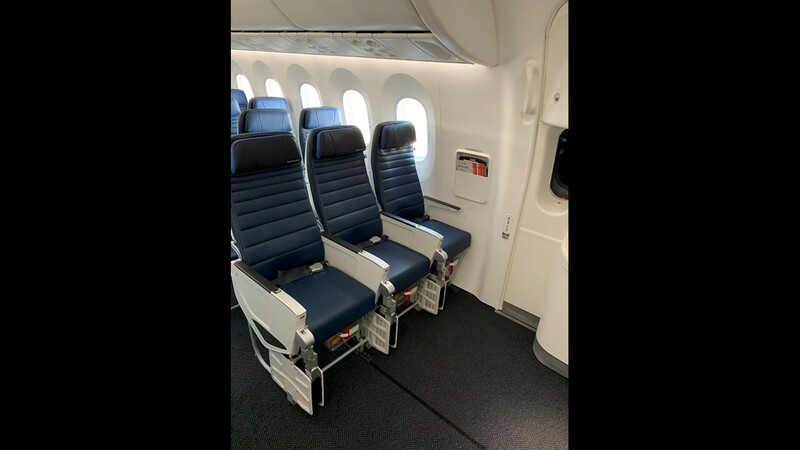 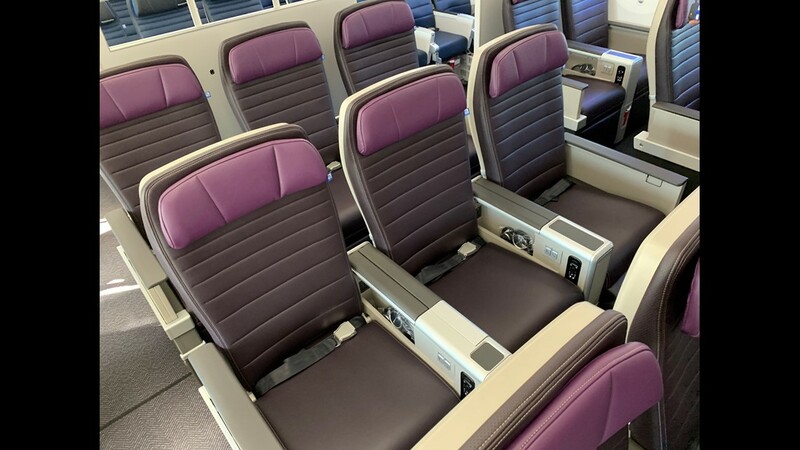 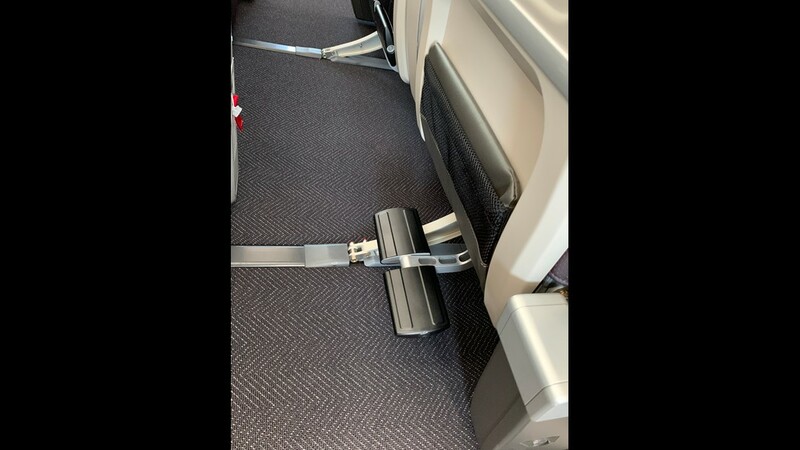 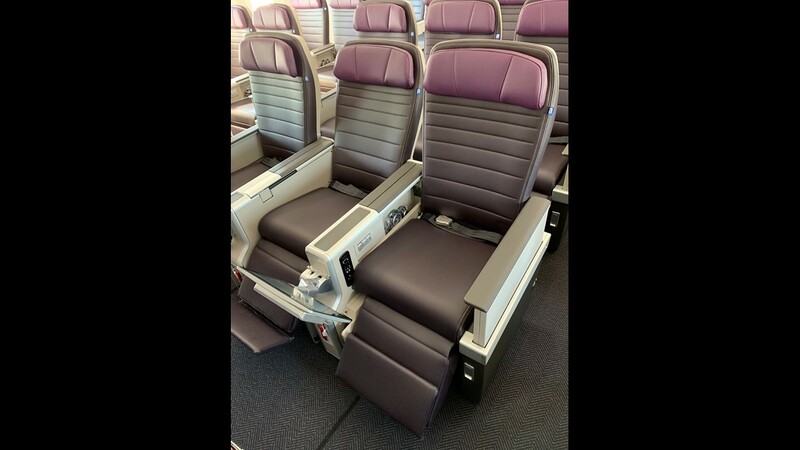 United's new international-style “Premium Plus” premium economy seats have and 13-inch seatback screens and fold-down foot rests. 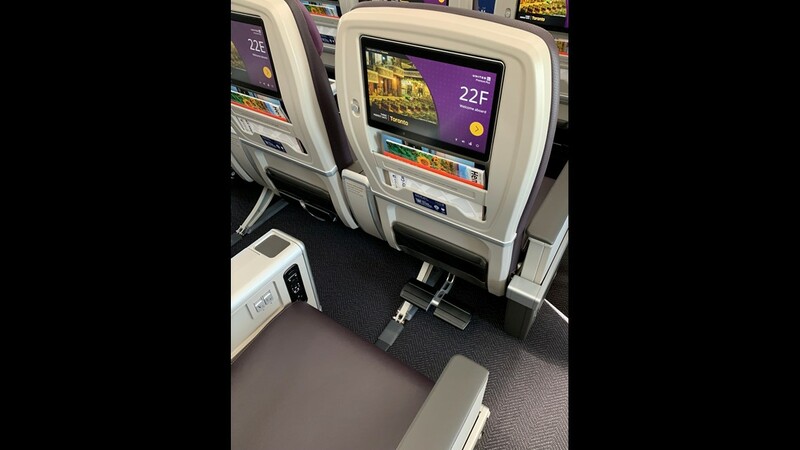 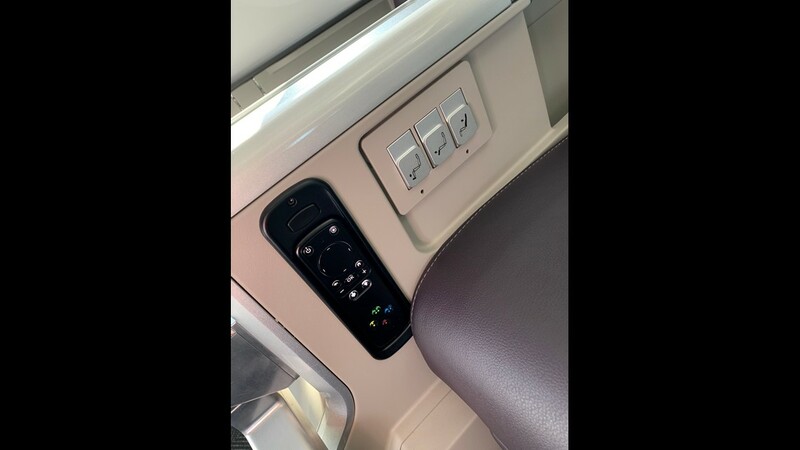 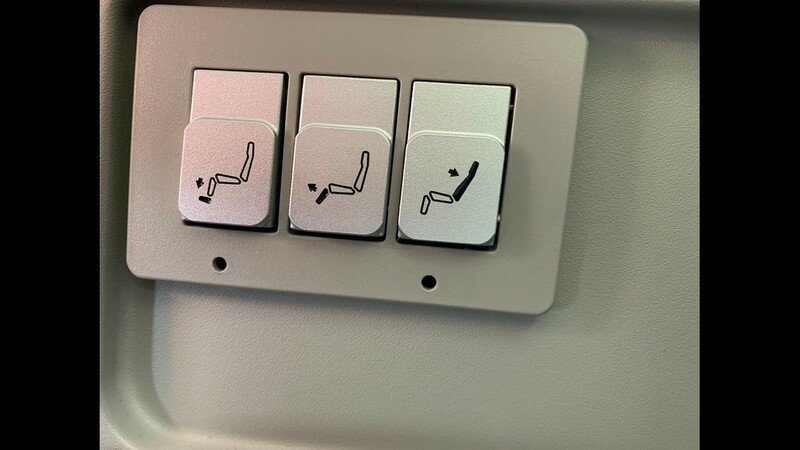 Seat controls for United's new international-style “Premium Plus” premium economy seats are seen on its first Boeing 787-10 Dreamliner at Washington Dulles on Nov. 16, 2018. 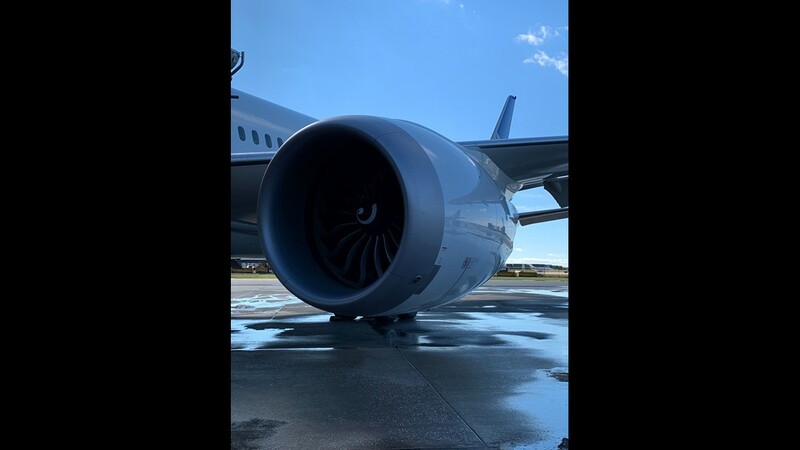 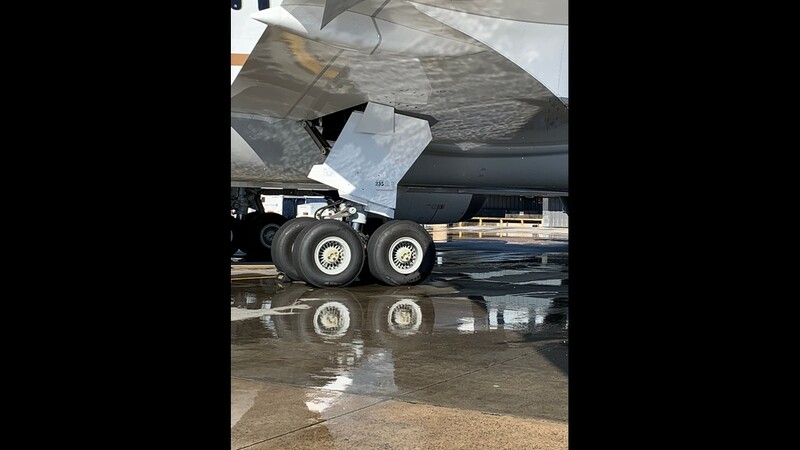 A look at the landing gear on United Airlines’ first Boeing 787-10 Dreamliner as seen at Washington Dulles on Nov. 16, 2018. 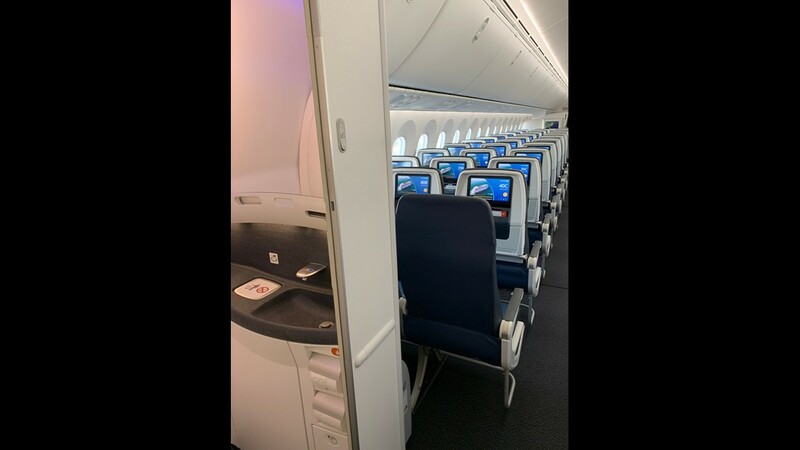 The mid-cabin galley on United's first Boeing 787-10 Dreamliner as seen at Washington Dulles on Nov. 16, 2018. 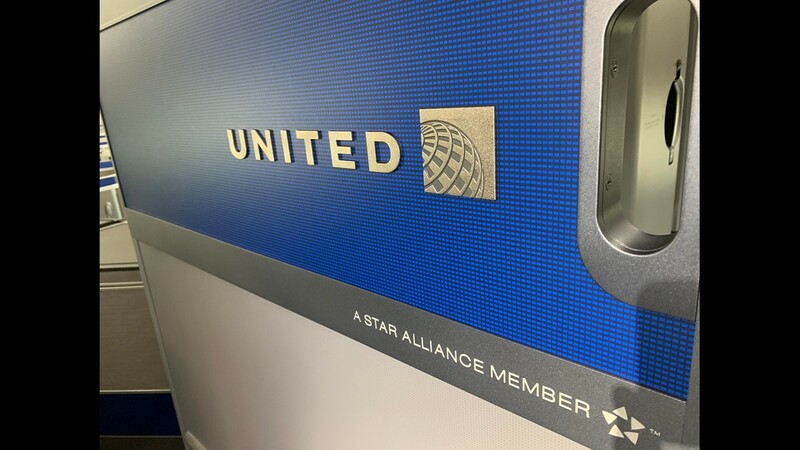 The bulkhead row in the economy cabin is seen on United's first Boeing 787-10 Dreamliner at Washington Dulles on Nov. 16, 2018. 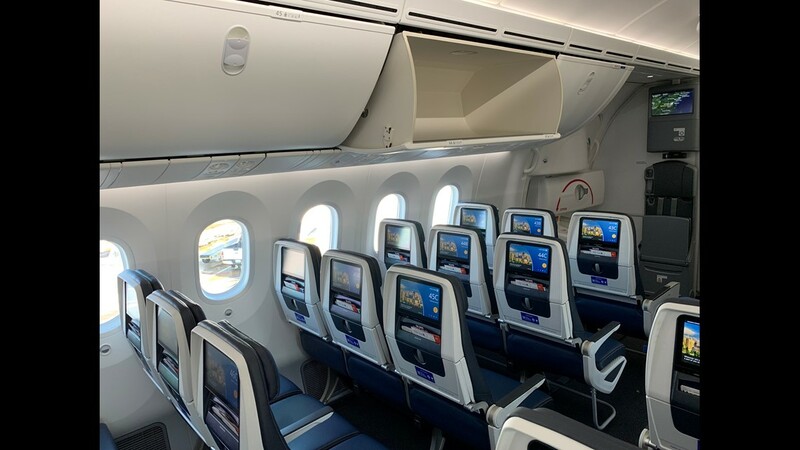 A view of the economy cabin from the aft of United's first Boeing 787-10 Dreamliner as seen at Washington Dulles on Nov. 16, 2018. 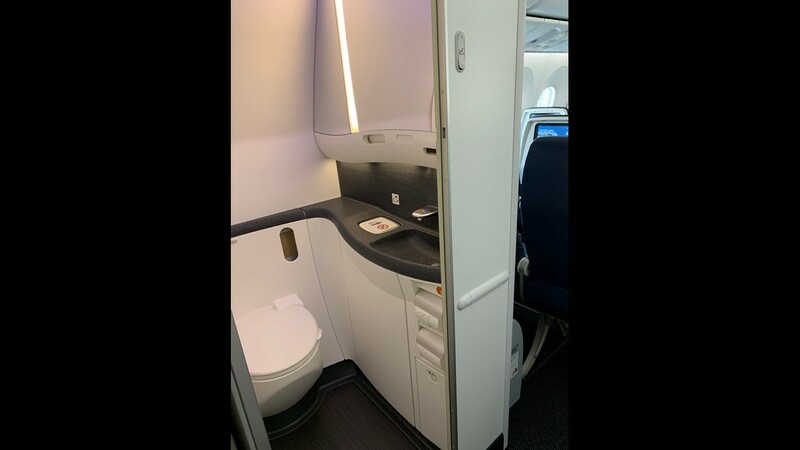 An economy cabin lavatory at the rear of United's first Boeing 787-10 Dreamliner as seen at Washington Dulles on Nov. 16, 2018. 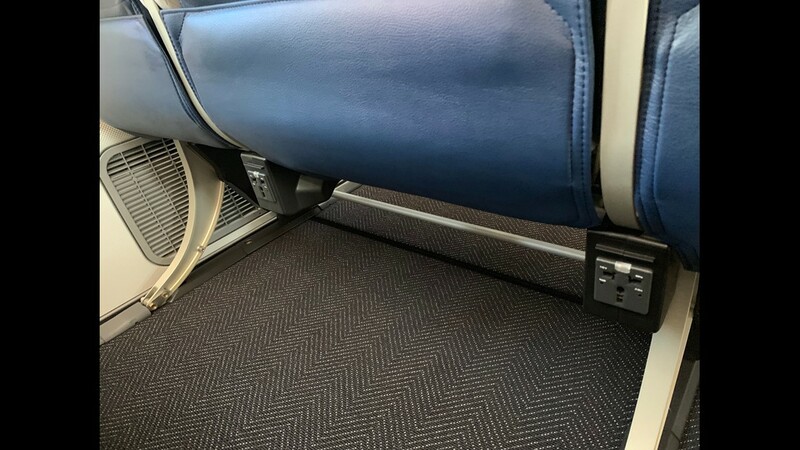 Every seat -- including those in economy -- are outfitted with power outlets on United's new Boeing 787-10 Dreamliners. 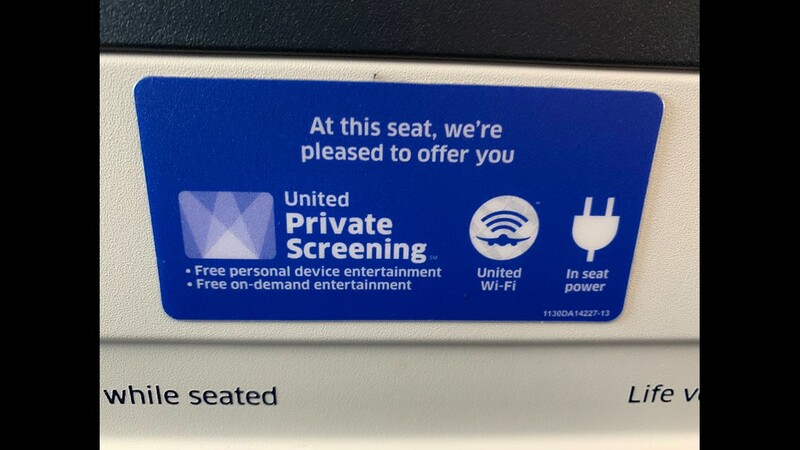 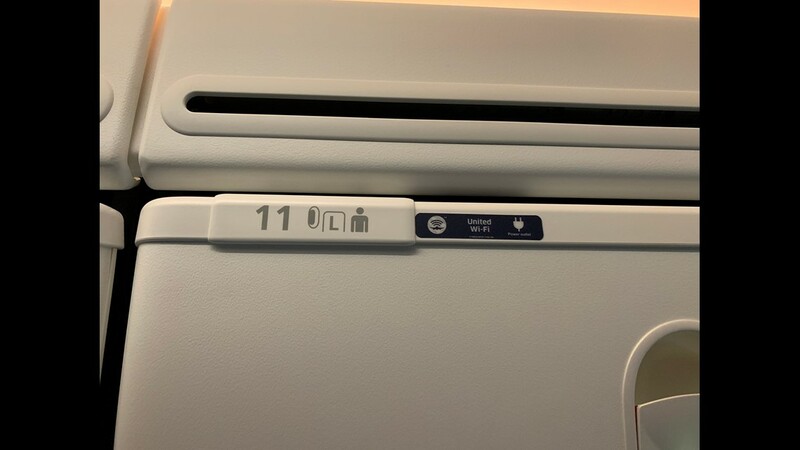 A decal on an economy seat outlines in-flight options on United's first Boeing 787-10 Dreamliner as seen at Washington Dulles on Nov. 16, 2018. 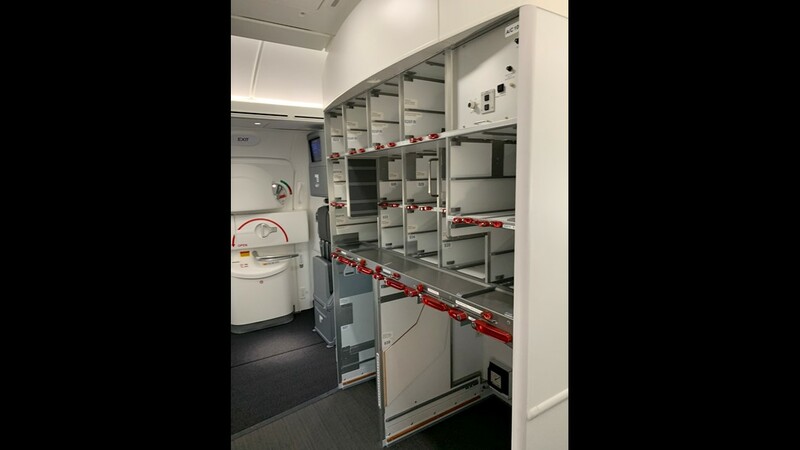 The rear galley is seen on United's first Boeing 787-10 Dreamliner at Washington Dulles on Nov. 16, 2018. 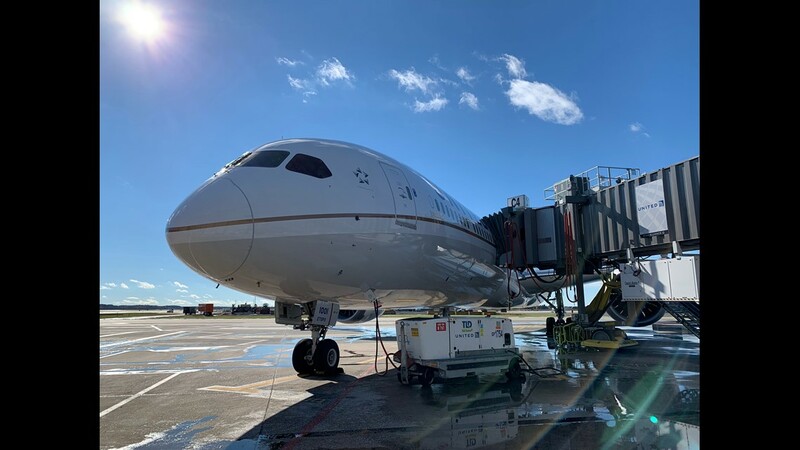 The economy cabin is seen on United Airlines' first Boeing 787-10 Dreamliner at Washington Dulles on Nov. 16, 2018.